This is the first time that an Indian has been elevated to this position, highlighting the growing importance of the domestic advertising industry in the global space. 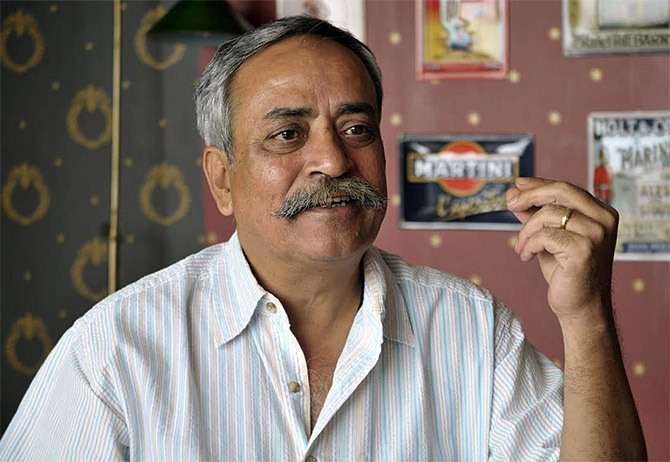 WPP agency Ogilvy on Wednesday promoted Piyush Pandey, executive chairman and creative director, Ogilvy South Asia, as its worldwide chief creative officer. By this move, the company filled up a key position that was lying vacant since the exit of its erstwhile creative head Tham Khai Meng in July. The appointment takes effect from January 1. The last time the Indian ad industry saw a big promotion was in 2014, when Prasoon Joshi, chief executive officer and chief creative officer of McCann Worldgroup India, was elevated as chairman of McCann Asia Pacific. Like Joshi, Pandey, 63, will be based in Mumbai as worldwide chief creative officer and retain his current responsibilities of leading the Indian business. This again is significant since global creative heads are generally based at the agency's headquarters either in the US or the UK. In a telephonic conversation, Pandey, currently in Kochi, said the new role was both an honour and a responsibility. "Work has to go on. I will partner Ogilvy's global leadership to drive the creative product at the agency," he said. In a statement, John Seifert, chief executive, worldwide, at Ogilvy, said Pandey was uniquely suited to lead the agency's global creative effort. 'Creativity has and will always be at the heart of the Ogilvy brand and culture. Piyush is the perfect leader to shepherd that legacy as we continue to focus on making brands matter as the leading creative network in the world,' Seifert said,. Ogilvy has also appointed a deputy chief creative officer (worldwide) in veteran Joe Sciarrotta, who will report to Pandey and Seifert. The agency had also expanded its global creative council from 12 members to 20, of which half will be women creative leaders, it said on Wednesday. The company will stress on diversity within the organisation. Pandey, recipient of the 2018 Lion of St Mark along with brother Prasoon Pandey at the Cannes Ad Fest, joined Ogilvy in 1982, and achieved fame for work on brands such as Fevicol, Luna Moped, Cadbury and Asian Paints. In 1994, he was named Ogilvy's national creative director, later becoming executive chairman at the agency. Pandey was also the first jury president from Asia at the 2004 Cannes Ad Fest and also the creator of the first Indian campaign to win double gold at Cannes called 'Second-hand smoke kills'. Pandey was conferred the Padma Shri, the fourth highest civilian honour, in 2016.